Border Patrol agents have apprehended more than 52,000 children crossing the border alone since October. NOGALES, Ariz. — The U.S. government is preparing to open a new facility in rural New Mexico to hold hundreds of unaccompanied children arriving from Central America as state officials call on federal authorities to do more to stop the migration. “Dang it, the federal government has got a job to do,” Arizona Gov. Jan Brewer said Wednesday in Nogales, where she toured a southern Arizona facility housing nearly 1,000 children apprehended at the U.S.-Mexico border. The surge of border crossings has strained the limits of existing resources, prompting the Republican governor to renew her criticism of the Obama administration’s immigration policies. Brewer said states have no authority in addressing the matter, referring to a federal lawsuit against Arizona over its sweeping immigration bill known as SB1070. Thousands of families and unaccompanied children have been coming to the U.S. in recent months as they flee violence, killings and extortion from criminal gangs in Guatemala, El Salvador and Honduras. Many are under the impression they will receive leniency from U.S. authorities, despite coming to the country illegally. Homeland Security Secretary Jeh Johnson, who was with Brewer during the walkthrough in Nogales, attempted to knock down that perception. “I want to continue to emphasize to all those who are listening, including the parents of kids, parents that may be considering sending their kid from Central America, that this journey is a dangerous one and at the end of it there is no free pass, there is no ‘permisos’ for your children to come to the United States,” Johnson said. About 900 children are being held in the Nogales center where while undergoing removal proceedings. They’re often reunited with family in the U.S. before immigration court cases play out. Johnson said they have adequate care. “I have to say that the kids, while this is not an ideal situation, look as if they’re being well-taken care of under the circumstance,” he said. Border Patrol agents have apprehended more than 52,000 immigrant children crossing the border alone since the start of the budget year in October. That included 9,000 in May. 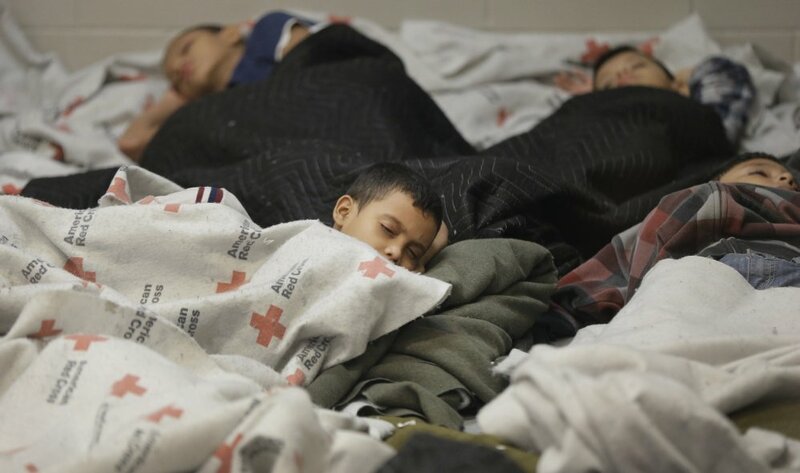 Most have been picked up in the Rio Grande Valley of Texas, which has run out of space and resources to process the children. The surge in crossings has prompted the Department of Homeland Security to fly many of those kids to Arizona for processing. The department is also using military bases in Texas, California and Oklahoma. 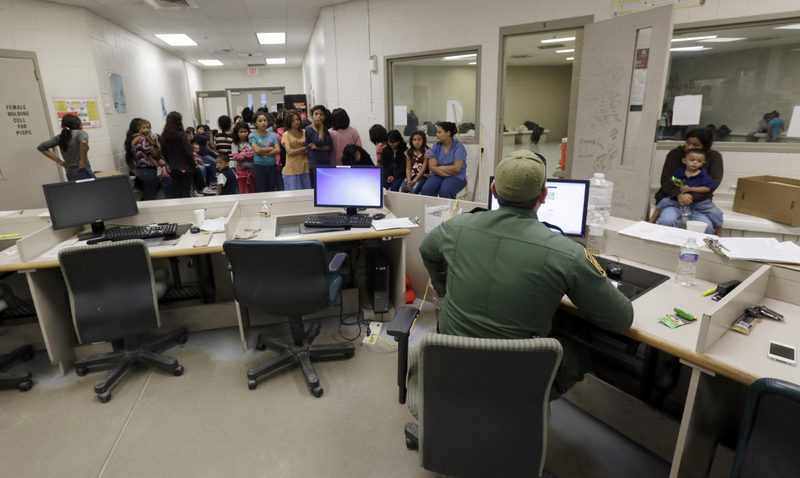 Immigration officials have released a large number of women with children who crossed the border illegally into Texas, dropping them off at bus stations in Phoenix and Tucson, Arizona, with the expectation that they will report back within 15 days. Officials have declined to answer how many have actually done so. Facilities in Artesia, New Mexico, where the Border Patrol training academy is located, and Tucson are being set up to house immigrants. The Border Patrol was scheduled to provide tours Thursday of the Artesia facility, which is expected to hold around 700 people while they are processed for deportation. New Mexico state Rep. Candy Spence Ezzell and other elected officials from the southeastern part of the state already have toured Artesia’s Federal Law Enforcement Training Center. Ezzell said the rooms being prepared to house women and children are packed with amenities and will encourage rather than deter the flood of immigration. Ezzell questioned the use of federal dollars to house the immigrants at a time when veterans aren’t getting proper health care and she’s encouraging residents to speak out about the facility.